Ford Motor Company is in the midst of many changes, among them a strategic shift away from traditional cars to a North American lineup consisting mainly of SUVS, trucks, crossovers, and electric vehicles. And the Mustang. The Mustang isn’t going anywhere, but that doesn’t mean it won’t change with the times. According to Fox News, the next-generation Ford Mustang, due in 2023, will adapt an all-electric powertrain. Previously, Ford was planning to continue with internal combustion, specifically the turbocharged four-cylinder EcoBoost and V8, though each would be connected to hybrid electrical assistance. This would not only improve the overall fuel economy but also provide a performance boost, as it’s done with several other hybrid sports cars. 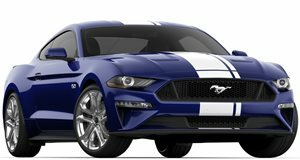 Everything was ready to go for the seventh-gen Mustang until CEO Jim Hackett decided it would be in the iconic muscle car’s best long-term interest to switch earlier than planned to Ford’s new EV-only platform. This is the same modular platform that will underpin the Mustang-inspired electric crossover, due next year. The long-term plan for the Mustang already included a shift to batteries only, but it was not expected until the eighth generation. 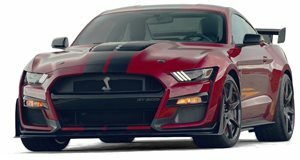 Hackett, who became CEO partly because of his enthusiasm and experience with new technologies, determined the best way to keep the Mustang ahead of the competition is to literally skip a generation. He also wants the Mustang to compete beyond its long-time rival, the Chevrolet Camaro. One possible new competitor: the recently rumored all-electric Porsche 718. It’s a tall order for engineers and designers alike to get the car ready in just a few years’ time, but the report also claims Hackett is willing to push back the next Mustang’s debut in order to get everything right.